It's Teacher Appreciation Week and this is the perfect time to show our teachers how grateful we are for all the things that they have for us. Can you imagine a world without teachers? Oh, that would be totally terrible! Who would teach our kids to learn math? Who will help them to achieve their dreams for their chosen career path? Will there be doctors? Or engineers? Or astronauts? I think not! That is why teachers are very important. Without them, we wouldn't be where we are today and it would have a huge impact on our children's future. Ever since I was a kid, I make it a point that I show my teachers how important they are to me. Not that I am trying to be the teacher's pet but I see to it that I value their efforts in helping me learn new things. Back then, I knew that I will benefit from the things that they teach me from the academic subjects to the life lessons that they instill in us. In our country, part of the custom during Teacher's Day is giving flowers and cards to the teachers that they love. During this day, flower vendors are everywhere! They sell affordable roses and flowers of different types so that kids can buy them for their teachers. 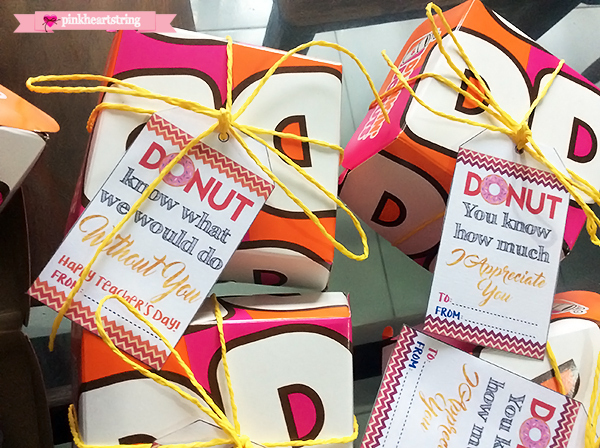 Isn't this a nice way to show our mentors that they are valued? Apart from flowers, we can also give them gifts and little something that will make them happy. When my daughter Bella started going to school, I make gifts for her teachers. One time we baked cookies and gave it to her teachers inside bottles that I decorated. But if you do not have much time to make something, buy a gift or even some yummy treats. Back when Bella was in Kindergarten, I bought Premium Dunkin Donuts for her teachers. This is nice because each of them comes in a separate box. Of course, I did not give it to them that way. 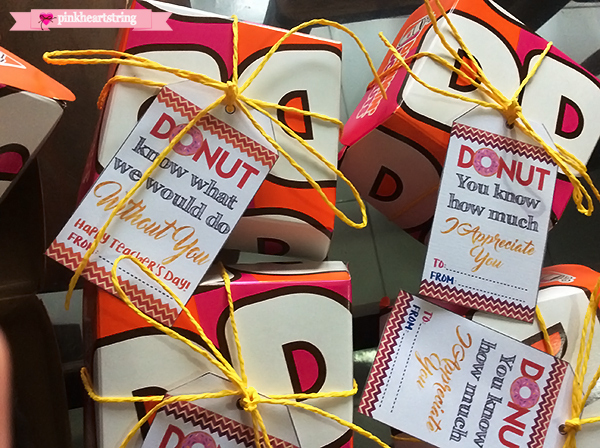 I designed some teacher appreciation gift tags that will be perfect for the donuts. I always wanted to make one like this and I had been waiting for the right moment to give one to Bella's teachers. 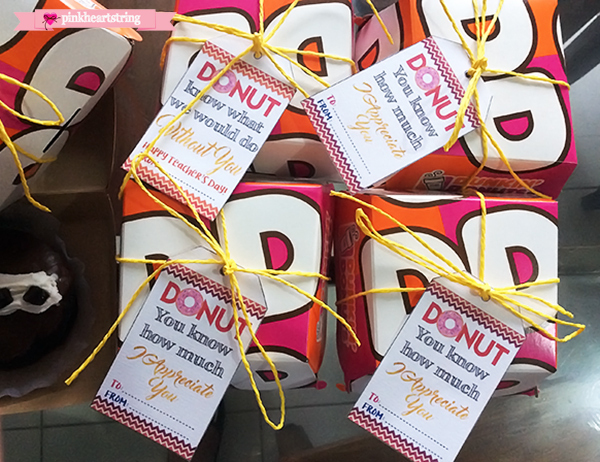 Since we gave them donuts, I made tags with the words "Donut you know how much I appreciate you" and "Donut know what we would do without you." I made two versions. One has the "Happy Teacher's Day" greeting while the other doesn't have it. I did it that way because we don't give gifts only on teacher's day. Hence, we have the option to use the other one without the greeting. The words "appreciate you" and "without you" are in gold because why not? It's like saying that teachers are as precious as gold! I used baker's twine to hold the teacher appreciation tags on place. I tied it around the box- the same way as how you tie a bow around a gift- and I made a knot on top before slipping the tags into it through a small hole that I made with a puncher. To be honest, I love how it turned out! It looked cute that way and if I were a teacher, I would love to receive something like this. LOL. Well, I used to be a teacher too! 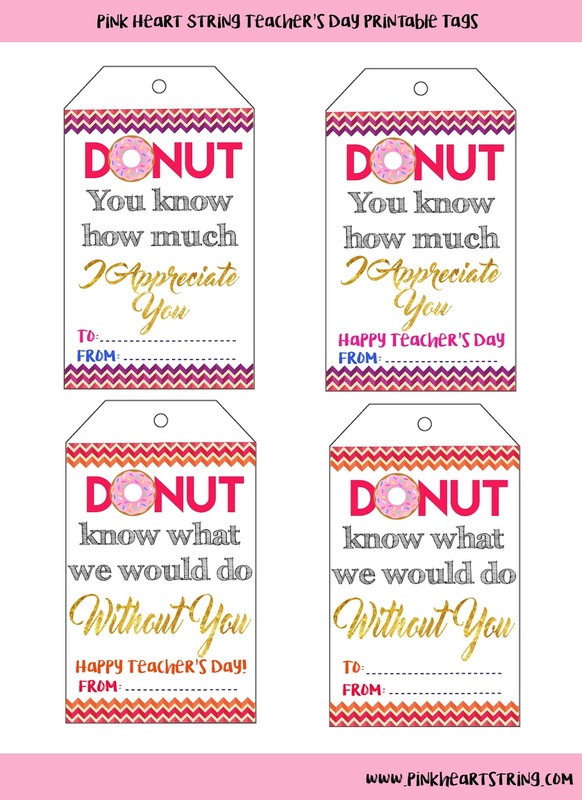 If I decide to go back to teaching, my students might find this free printable teacher appreciation tags and will use it for a box of donuts for me. Hahaha! 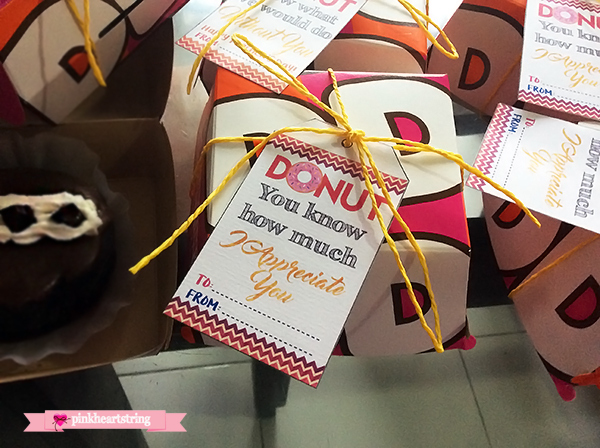 So if you want to give some donuts to your teachers, make sure that you will give it to them with these cute tags. Don't worry, you can get this printable for free! You can save this image or you can get the pdf version below. I hope you love this free printable for teacher's day. 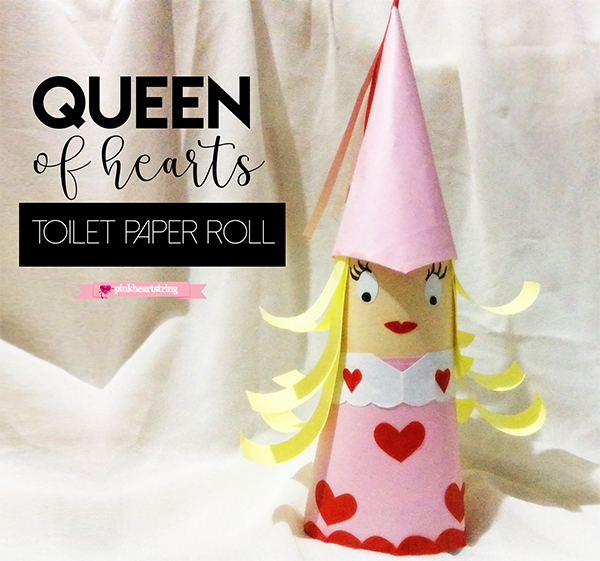 I still have more printables for you guys! I will be sharing them with you next time. 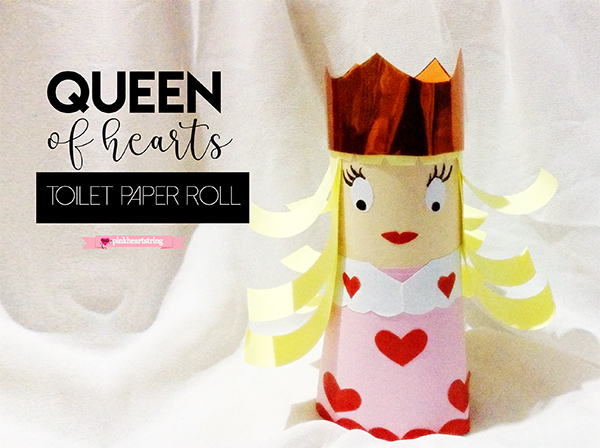 Do you have any printable in mind that you want me to make? Let me know in the comment section below! Do you have a boring wall that you want to add some life and interesting appeal? There are so many ways to enhance the look of a wall. You can cover it with wallpaper, add a framed picture or a gallery, add a wall sculpture and even re-paint it. 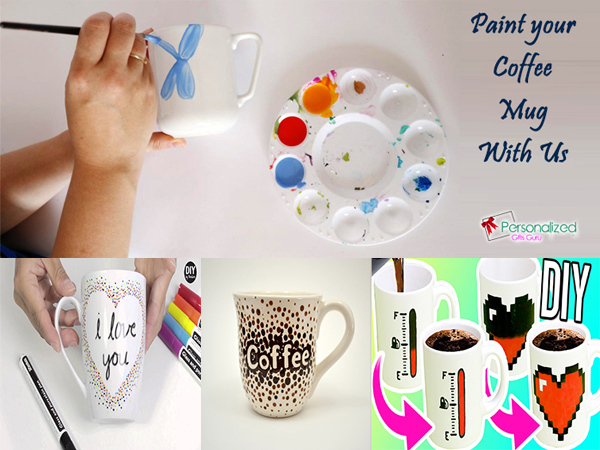 When painting, you can either paint it creatively combining different colors or add some texture to it. But you can also DIY some wall decors too. Yes, you can easily frame a photo but you can also make a flower that you can attach to the wall. This is what I did to my bedroom. There is a hole on the upper part of my wall because it was intended for an exhaust. Since, we don't need to install one anymore, I covered it with paper flowers. It is very easy to make. And I want to share it with you. You can make something bigger or smaller ones- depending on what you need. For my crepe paper flowers wall decor, I made large ones because I need it to cover a hole on my wall. 1. First, cut the edge of the crepe paper with a scissor forming a curve. You can also cut it with a pointed design to get a different look for the flowers. Do the same with another color which should be shorter in length than the other one. 2. Top the shorter paper on the longer one. Make sure their curves are aligned. 3. Start folding them together in pleats, as seen on the picture. 4. When you are done folding, tie the center part with a ribbon or a string. 5. Slowly spread the paper and meet both ends together to form a circle. 6. Then pull the edges upward so it will bloom. 7. Pull all the edges for both the larger petals and the smaller petals. 8. Then, attach it to the cardboard or you can just install it directly to your wall. For my flowers, I made three with different sizes. I added a gold circle which I glued on top. 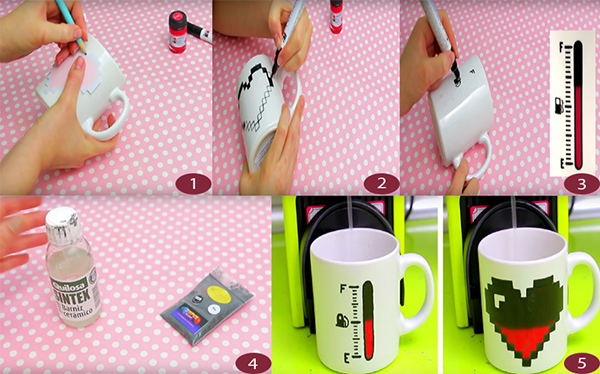 You can also add some strips of paper on top too like what I did with mine. I glued all three flowers on the cardboard before I installed it on the wall. Pretty easy, right? 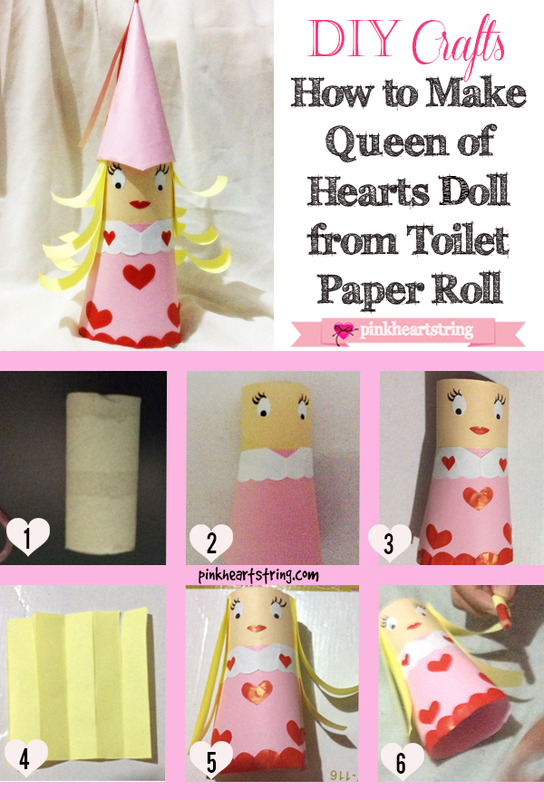 You can make one for your home too! I always wanted to try making doughnuts. Not the baked ones because we only have a small oven and I prefer the ones that are fried because they are easier to make. Not the ones with yeast either because I do not have yeast. Lol! And so I tried making them one sweet day! 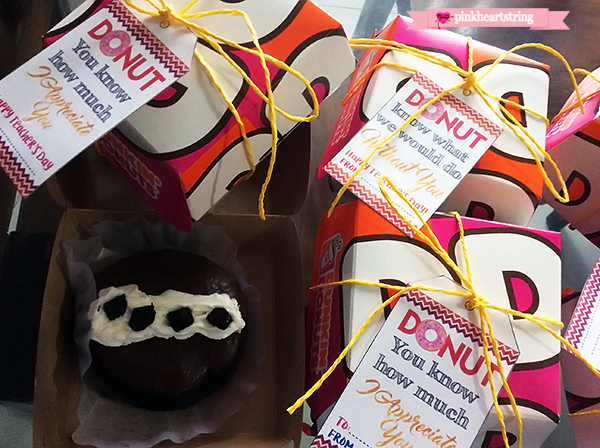 I actually made these donuts during the time when the Krispy Kreme Glamour Glaze Donuts were trending because of Katy Perry's visit in the Philippines. No, we don't have Krispy Kreme in our area. But I do have a pan and some flour, as well as other ingredients to make my own glazed donuts! So, if you want to add some twist to your kiddo's snack time, take a look at this very easy and very quick and very affordable No Bake, No Yeast Glazed Donuts! 1. Combine the dry ingredients on a bowl- flour, salt, sugar and baking powder. 2. On a separate bowl, whisk together the egg and milk. 3. Gradually pour the milk-egg mixture into the bowl of your flour mixture. Stir them together. 4. When completely stirred, add the butter and stir again. 5. Knead your dough on top of a clean surface with flour sprinkled on it. When your dough is ready, cut them into desired size and start making a ring. If you want to color your dough, cut some and add color then knead until the color is evenly distributed, then make a ring. 6. Pre-heat your pan and then add oil. 7. Place your doughnuts and start frying them until golden brown. Flip it to one side too. 8. When cooked, you can put them on top of a kitchen towel to absorb the oil. Let it cool while you are making your glaze. 2. Add the brown sugar. Stir it until everything is dissolved. 3. If you want it to be thicker, add more sugar. 4. When done, pour on separate bowls and add food color. 5. Using a spoon, pour the glaze on the donuts or you can dip it on the glaze. You can try different colors for the glaze. You have to put glaze quickly because it will dry up. So easy, right? This is my first time to make doughnuts. I was in doubt if it was delicious or not, but when I saw only a quarter of a ring left of the 20 doughnuts, it means I did it right! Lol. I was thankful that they left me a small part so I can taste it. Go ahead and try this very easy donuts! Your kids will surely love it! 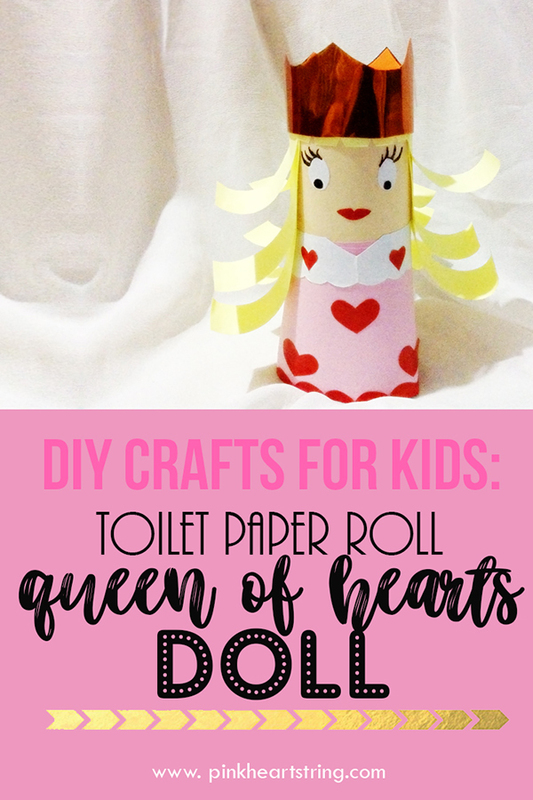 Are you looking for a DIY Hawaiian grass skirt? Well, this is the tutorial you are looking for. I will give you a step by step instruction on how to make a grass skirt to complete your Hawaiian costume. I have mentioned before that Bella was having a Ballet class for summer. I didn't know that they also have Hawaiian dance too. But that is a good thing. It is like hitting two birds with one stone. At least she'll learn two different dances this summer. So, when we talk about Hawaiian dance, we will never miss the grass skirt, the flower crowns and all the floral accessories. It actually sounds fun and exciting to make all of them. We have to start with the grass skirt. A grass skirt could be made from synthetic grass-like string like the plastic twine which we will use for Bella's grass skirt. 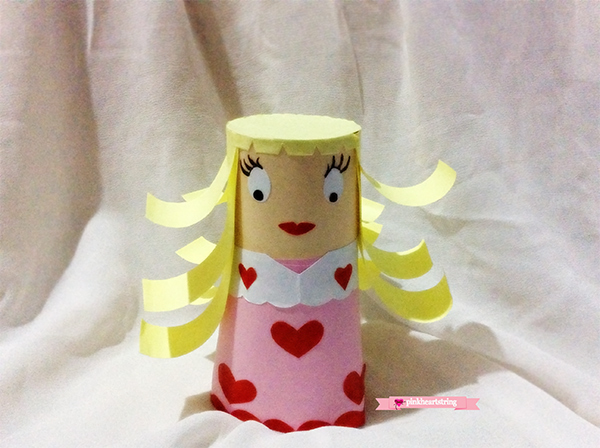 Others use tulle, rafia, ribbons or even paper. But for me, the best material for a grass skirt is the plastic twine. It looks nice when the user sways here hips. Actually, if the skirt is really full, it would sway with minor movements. 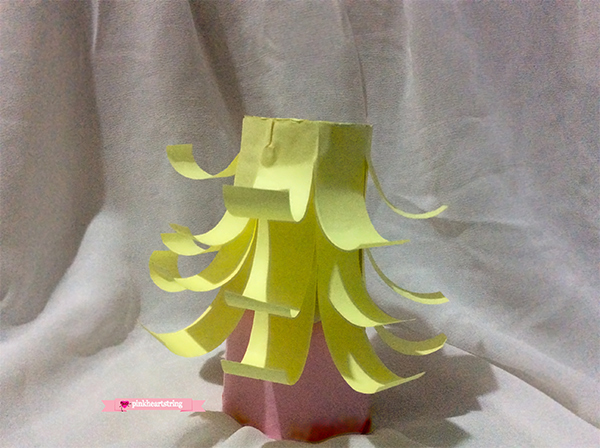 So, today, we I will show you how to make a grass skirt through pictures. I'm telling you, this is so easy! You'd surely feel good after making one. 1. First, you have to measure around the waist of your daughter or whoever is going to wear it. You have to measure just along or below the belly button. I had a pink garter and so I used it for this. Remember that a garter is stretchable. So, see to it that you stretch a little around the waist and then leave a few inches for allowance. Then, gather your plastic twine. 2. Measure the length of the skirt. The length of your twine is twice the length from the belly button to the ankle. It is done this way because you would fold it into two when tying it on the garter. Cut your twine with that length. Example: Length from waist to ankle is 18", you would cut a twine with that is 36". Take note that you will still knot it the top, so add a little allowance too. Like you can make it around 37" inches. For this skirt, I measured it a little above the ankle. 3. Now get your garter. Do not sew or knot the garter together yet. Start tying the twine. Fold your string in half creating a loop at the top. Then bring the twine into the loop. You call this the Larkshead Knot. Watch here for a video of how to do the knot: Lark's Head Knot Video. 4. Now add some more strings and place them side by side. Make sure that you tie them close to each other. 5. 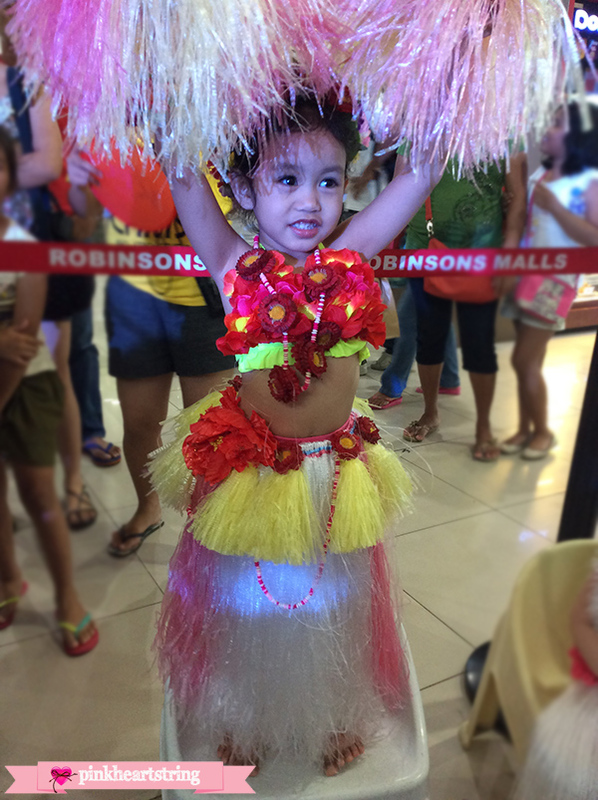 So, this is how the grass skirt looks like after tying plenty of twines. Your grass skirt is about to finish. 6. When done, try measuring the skirt again around the user then sew the garter or tie a knot. 7. Then here is the result. You already have a skirt. Piece of cake! 8. But it doesn't end there. You have shred the twine. There are two ways to do it. You can shred it manually by hand as shown. Or you can use a comb in shredding. What I don't like about using a comb is that, some twines are torn and are left in the comb. So, you have to do it carefully. But you will be able to finish shredding quickly using a comb. For this skirt, I used both methods but I shredded by hand on most parts. You will can see in the above image the difference of the shredded part and the non-shredded twines. the shredded ones are at the top of the skirt. When you are done shredding, this is how your grass skirt will look like. You can be creative with the colors too. And don't forget to decorate it. Add tassels, flowers and whatever you can think of. 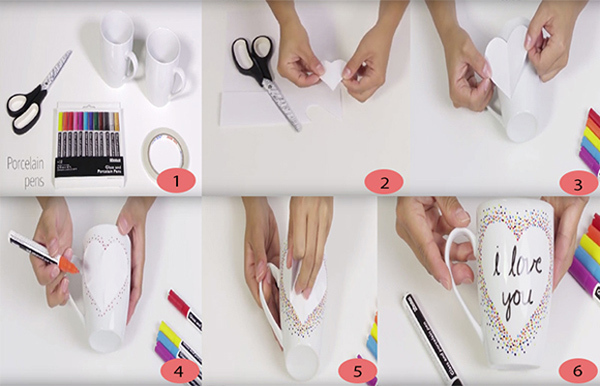 This is just the basic how-to of a grass skirt. Decorating depends on you. I decorated the grass skirt with beads, flowers and I added tassels too. To complete the look, I used one of Bella's top for her two-piece swimwear and I glued some plastic flowers on it. I also made her a necklace, bracelets and anklets made from beads and plastic flowers. And she is also wearing a floral headdress that I made. 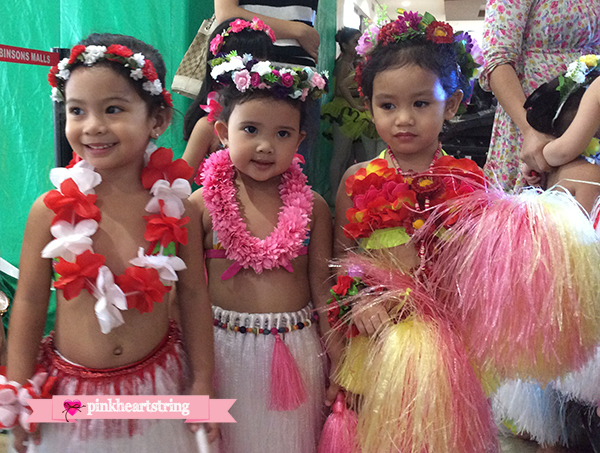 Here's Bella with the other Hawaiian dancers during her Ballet-Hawaiian summer class. Too bad she wasn't smiling that time! Hope you found this tutorial useful! Don't forget to give me some Facebook love or Subscribe to my newsletter for regular updates of what is new on the blog! I know every mom is looking for an easy recipe to make for their kid's lunchbox or maybe even for a snack at home for the entire family. It would be amazing to be able to make a foodie that is yummy for just a few minutes. My mother used to make sandwich rolls but hers were still dipped in egg and rolled in bread crumbs and then fried. Well, they taste really good. But for my version of rolled sandwich, it is a "lazy" version. Lol. 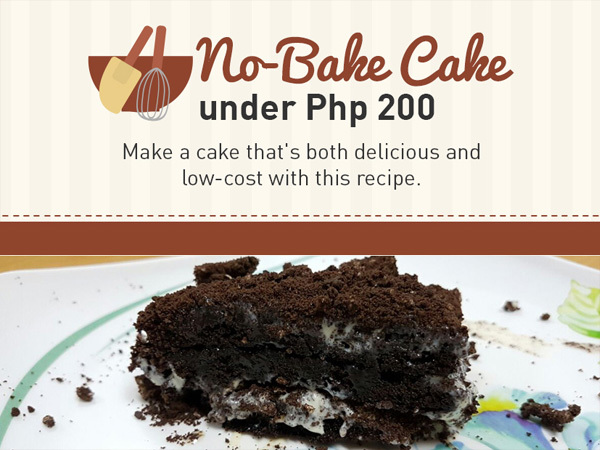 So, if your little one is having a summer class like mine or you are spending a day at home this summer, I am going to show you a pretty easy recipe. 1. First, fry the ham or buy cooked ham. 2. Use a rolling pin to flatten the bread. You can remove the brown part if you want to. For mine, I removed it so it is easier to roll. 3. Now spread the mayonnaise and ketchup on both side of the bread. 4. Add ham and cheese and place the other bread on top to complete the sandwich. 5. Roll it slowly and you are done! So, if you want to add some twist to your little one's snack time, this Ham and Cheese Sandwich would be easy to prepare and yes, they taste good too!